1. The name of this organization shall be Rotary International District 5130. The purpose of the organization is to support the Rotary clubs of the district in their pursuit of programs and activities that promote The Object of Rotary and Rotary’s core values of Service, Fellowship, Integrity, Diversity and Leadership. These bylaws, together with amendments subsequently adopted, the Constitution of Rotary International, the Bylaws of Rotary International, and the most recent Rotary International Manual of Procedure shall constitute the legislation governing the administration of District 5130, and shall replace and supersede any and all legislation previously enacted by District 5130. Membership will be the Rotary clubs within the boundaries of District 5130. The qualifications for District Governor are as defined by Article 15, Section 15.080 of the Bylaws of Rotary International. The duties of District Governor are as defined by Article 15, Section 15.090 of the Bylaws of Rotary International. (a) Supervise a district office at such a location as the district has established. The District Board of Directors will be responsible for maintaining the official files of the district electronically or otherwise including all District Records and Reports Regarding the Rotary Foundation programs, projects and committees. (b) The District Governor shall pass the office files, together with any district-owned properties, to the District Governor’s successor after the close of the District Governor’s term of office. The qualifications for District Governor-Nominee are as defined by Article 15, Section 15.070 of the Bylaws of Rotary International. The district shall select a Nominee for governor in accordance with Article 13 of the Bylaws of Rotary International. District 5130 shall select its governor-Nominee at least twenty-four months prior and not more than thirty-six (36) months prior to he or she taking office and shall utilize the nominating committee procedure set forth herein. (a) The three (3) most immediate Past District Governors. Should one of the Past District Governors be unable to serve, then the next PDG in reverse order of seniority shall be asked to serve, until one is seated. (b) The current District Governor, who shall serve as a non-voting member except in the event of a tie. (c) The current District Governor-Elect. (d) The current District Governor-Nominee. (iv) Have at least 5 years of membership in Rotary. (a) He/she is a Past District Governor or District Governor-Designate. (c) He/she is an immediate relative to an applicant, or has any other conflict of interest that would raise the questions of fairness. (This will be determined by the Chair of the Committee after applications are received. The determination of “other conflict of interest” may be reviewed by the six ex-officio members of the committee). All clubs in the District will participate in a lottery to select an at-large member except as noted in section 7b. Clubs that are already represented on the committee by a PDG, DG, DGE or DGN will not be eligible for the current selection year. The current Committee Chair will draw, by lot, at the annual District Conference Business meeting, the names of 6 eligible Clubs. In order of draw, the members of the first three Clubs drawn will be selected to serve, with the last three to serve as Alternates. The clubs drawn will then, within sixty days of the conference, submit to the committee chair their selection for an at-large member. After applications are received, if any of the selected first three members are deemed ineligible due to Club affiliation, relationship or potential conflict of interest as noted in Section 6 above, or if the club is unable to select a committee member, then the alternates will be selected in order of draw until a total of three are seated. Any member who serves as an at-large committee member will be ineligible to apply for the position of District Governor for the next two consecutive Rotary Terms. Duties of the Nominating Committee are to review the qualifications of the candidates proposed by the clubs of the district, and in the event none of the candidates proposed is properly qualified to serve as District Governor under the Constitution and By-laws of Rotary International as set forth in Article 15, Section 15.070 of the Bylaws of Rotary International or in the event no proposals are submitted, to seek from the clubs of the district a candidate whose qualifications so comply. The Chair of the committee shall report the conclusions of the committee to the District Governor who shall communicate with the successful candidate. The District Governor shall then notify the unsuccessful candidates and their clubs of the said nomination, also advising them that no publication of the nomination be made until the District Governor closes nominations. The District Governor shall notify the member clubs of the district of the nomination of the candidate within 72 hours of receiving notice from the nominating committee of the selection and shall announce the date after which further proposals may no longer be made which shall be not more than14 days after said publication of the nominating committees choice to the clubs. The Chair of the Nominating Committee or the District Governor shall make an oral report to the District Conference as to the final selection of the District Governor Nominee. The corporation (District 5130) shall have nine (9) directors and collectively they shall be known as the board directors. The directors of the district corporation shall include the current District Governor; the District Governor-Elect; the District Governor-Nominee; the two most immediate past District Governors who served in this district and are able to so serve; the current district secretary and current district treasurer (both of whom shall be non-voting members) and two (2) at-large members who have served a full term as Club President within the district, who are current members of an active club in the district appointed by the District Governor. The at-large members shall serve a one-year term and shall be selected from the following areas; provided that the selection is not to be from the same area that the appointing District Governor is from: (1) Sonoma County (2) from Napa, Lake & Mendocino Counties and (3) from Humboldt and Del Norte Counties. Subject to the provisions of the California Nonprofit Social Welfare Corporation law, the bylaws of Rotary International, the policies of Rotary International set forth in the current Manual Of Procedure and any limitations in the articles of incorporation and bylaws relating to action required or permitted to be taken or approved by the members of this corporation, the activities and affairs of this corporation shall be conducted and all corporate powers shall be exercised by or under the direction of the board of directors. Register their addresses with the secretary of the corporation for notices of meetings sent by mail or telecommunication to them at such addresses shall be valid notices thereof. Directors shall serve without compensation except that they shall be allowed and paid their actual and necessary expenses incurred in attending directors meetings. In addition, they shall be allowed reasonable advancement or reimbursement of expenses incurred in the performance of their regular duties as specified in 3. of this Article IV. Directors may not be compensated for rendering services to the corporation in any capacity other than director unless such other compensation is reasonable and is allowable under the provisions in section 3. of this Article IV. Meetings shall be held in a location designated by the District Governor or presiding Committee Officer within or without the State of California. All board of director members must be given written notice of the meeting as hereinafter provided in this Article IV, 6.c.for special meetings of the board of directors. Any meeting, regular or special, may be held by conference telephone, electronic video screen communication, or other communications equipment. Participation in a meeting through use of conference telephone or electronic video screen constitutes presence in person at that meeting so long as all directors participating in the meeting are able to hear or see one another, able to immediately participate and have been identified as entitled to vote. Any action required or permitted to be taken by the board of directors under any provision of law may be taken without a meeting, if all members of the board of directors shall individually or collectively consent in writing, or telecommunications, to such action. For the purposes of this Section only, “all members of the board of directors” shall not include any “interested director” as defined in Section 5233 of the California Nonprofit Public Benefit Corporation Law. Such written consent or consents shall be filed with the minutes of the proceedings of the board of directors. Such action by written consent shall have the same force and effect as the unanimous vote of the directors. Any certificate or other document filed under any provision of law which relates to action so taken shall state the action was taken by unanimous written consent of the board of directors without a meeting and that the bylaws of this corporation authorize the directors to so act, and such statement shall be prima facie evidence of such authority. Vacancies on the board of directors shall exist (1) on the death, resignation, or removal of any director and (2) whenever the number of authorized directors is increased. The board of directors may declare vacant the office of a director who has been declared of unsound mind by a final order of court, or convicted of a felony, or been found by a final order or judgment of any court to have breached any duty under Section 5230 and following of the California Nonprofit Public Benefit Corporation Law. Any director may resign effective upon giving written notice to the president, the secretary, or the board of directors, unless the notice specifies a later time for the effectiveness of such resignation. No director may resign if the corporation would then be left without a duly elected director or directors in charge of its affairs, except upon notice to the California attorney general. Vacancies on the board of directors may be filled by approval of the board of directors or, if the number in office is less than a quorum, by (1) the unanimous written consent of the directors then in office, (2) the affirmative vote of a majority of the directors then in office at a meeting held pursuant to notice or waivers of notice complying with this Article of these bylaws, or (3) a sole remaining director. Vacancies created by the removal of a director may be filled only by the approval of the members. The members of this corporation may elect a director at any time to fill any vacancy not filled by the directors in the manner set forth for the selection of a District Governor by mail ballot as set forth in section 13.010 of the Rotary International Bylaws. A person elected to fill a vacancy as provided by this Section shall hold office until the next annual election. The officers of the corporation shall be the District Governor as president and chairperson of the board of directors, the District Governor-Elect as First-Vice-president, the District Governor Nominee as Second-Vice President the District Secretary shall be the secretary, and the District Treasurer who shall be chief financial officer and designated the treasurer. The corporation may also have, as determined by the board of directors, one or more vice presidents, assistant secretaries, assistant treasurers, or other officers. Any number of offices may be held by the same person except that neither the secretary nor the treasurer may serve as the president or chairperson of the board of directors. Only Rotarians who are members of clubs in District 5130 may serve as an officer of this corporation. The nominating procedure for Governor who shall serve as Chairperson of the Board of directors and President of this corporation is set forth in Article III above. Officers other than the Board President and Chairperson, shall be elected by the board of directors, at any time, and each officer shall hold office until he or she resigns, is removed, or is otherwise disqualified to serve, or until his or her successor shall be elected and qualified, whichever occurs first. The District Treasurer shall serve as the District’s Chief Financial Officer with oversight and management of all District books, records, and bank accounts and with administering the Accounting Policies and Procedures as adopted by the Board of Directors. Any officer other than the District Governor as President and Chairperson, the District Governor-Elect as First-Vice-president and the District Governor Nominee as Second-Vice President may be removed, for cause or without cause, by the board of directors, at any time. Any officer may resign at any time by giving written notice pursuant to Article IV, 7 to the board of directors or to the president or secretary of the corporation. Any such resignation shall take effect at the date of receipt by the board of directors of such notice or at any later date specified therein, and, unless otherwise specified therein, the acceptance of such resignation shall not be necessary to make it effective. The above provisions of this Section shall be superseded by any conflicting terms of a contract which has been approved or ratified by the board of directors relating to the employment of any officer of the corporation. Any vacancy caused by the death, resignation, removal, disqualification, or otherwise, of any officer shall be filled by the board of directors unless otherwise provided in these bylaws or the bylaws and policies of Rotary International. In the event of a vacancy in any office other than that of president, such vacancy may be filled temporarily by appointment by the president until such time as the board of directors shall fill the vacancy. Vacancies occurring in offices of officers appointed at the discretion of the board of directors may or may not be filled as the board of directors shall determine. The president shall be the chief executive officer of the corporation and will, subject to the control of the board of directors, supervise and control the affairs of the corporation and the activities of the officers. He or she will perform all duties incident to his or her office and such other duties as may be required by law, by the articles of incorporation of this corporation, or by these bylaws, or which may be prescribed from time to time by the board of directors. Unless another person is specifically appointed as chairperson of the board of directors, he or she will preside at all meetings of the board of directors. If applicable, the president will preside at all meetings of the members. Except as otherwise expressly provided by law, by the articles of incorporation, or by these bylaws, he or she will, in the name of the corporation, execute such deeds, mortgages, bonds, contracts, checks, or other instruments which may from time to time be authorized by the board of directors. In the absence of the president, or in the event of his or her inability or refusal to act, the First vice president, or if he or she is unable, the Second vice president will perform all the duties of the president, and when so acting will have all the powers of, and be subject to all the restrictions on, the president. The vice presidents will have other powers and perform such other duties as may be prescribed by law, by the articles of incorporation, or by these bylaws, or as may be prescribed by the board of directors. The secretary will: Certify and keep at the principal office of the corporation the original or a copy of these bylaws as amended or otherwise altered to date. Keep at the principal office of the corporation or at such other place as the board of directors may determine, a book of minutes of all meetings of the directors, and, if applicable, meetings of committees of directors and of members, recording therein the time and place of holding, whether regular or special, how called, how notice thereof was given, the names of those present or represented at the meeting, and the proceedings thereof. See that all notices are duly given in accordance with the provisions of these bylaws or as required by law. Be custodian of the records and these bylaws. Keep at the principal office of the corporation a membership book or electronic file containing the name and address of each member, and, in the case where any membership has been terminated, the secretary will record such fact in the membership book together with the date on which such membership ceased. Exhibit at all reasonable times to any director of the corporation, or to his or her agent or attorney, on request therefor, the bylaws, the membership book, and the minutes of the proceedings of the directors of the corporation. In general, perform all duties incident to the office of secretary and such other duties as may be required by law, by the articles of incorporation of this corporation, or by these bylaws, or which may be assigned to him or her from time to time by the board of directors. Subject to the provisions of these bylaws under Article IX and the delegation of responsibilities to District committees under Article IX.14. herein the treasurer will: Have charge and custody of, and be responsible for, all funds and securities of the corporation, and deposit or cause to be deposited all such funds in the name of the corporation in such banks, trust companies, or other depositories as shall be selected by the board of directors. Receive, and give receipt for, monies due and payable to the corporation from any source whatsoever. Disburse, or cause to be disbursed, the funds of the corporation as may be directed by the president, or the board of directors, taking and retaining proper vouchers for such disbursements. Keep and maintain adequate and correct accounts of the corporation’s properties and business transactions, including accounts of its assets, liabilities, receipts, disbursements, gains and losses. Exhibit at all reasonable times the books of account and financial records to any director of the corporation, or to his or her agent or attorney, on request thereof. Render to the president and directors, whenever requested, an account of any or all of his or her transactions as treasurer and of the financial condition of the corporation. Prepare, or cause to be prepared, and certify, or cause to be certified, the financial statements to be included in any required reports. In general, perform all duties incident to the office of treasurer and such other duties as may be required by law, by the articles of incorporation of the corporation, or by these bylaws, or which may be assigned to him or her from time to time by the board of directors. Where any provision of the corporate documents of the incorporated district is not in conformity with the constitution, bylaws, or policies of RI, the terms of the constitution, bylaws or policies of RI shall prevail at all times. The district’s Budget and Finance Committee shall consist of the members of the District Board of Directors, including the District Treasurer as an ex-officio member and shall be chaired by the immediate past District Governor. Upon the selection of an incoming District Treasurer he/she shall immediately begin attending the Budget and Finance Committee as a non-voting (ex-officio) member. The Budget and Finance Committee shall meet at least quarterly, offer input during the development of the district’s proposed budget(s), review financial reports of income and expenditures, and advise the governor, governor-Elect and governor-Nominee concerning finances of the district. District finances will be in accordance with, Article 16, Section 16.060 of the Bylaws of Rotary International. A proposed Consolidated District Budget of estimated operating income and expenses for the next fiscal year shall be distributed to all clubs at least one month prior to Presidents-Elect Training Seminar (PETS) or the district assembly whichever shall first occur. The financing of district expenses shall be provided through a per capita levy on the members of all clubs in the district called “district dues.” On the basis of the proposed budget, the Budget and Finance Committee shall recommend to the Board of Directors , who shall determine the amount of the per capita levy on the members of all clubs in the district which shall include a per member assessment for the annual district conference. The District Governor-Elect shall present the proposed district budget to a meeting of the club presidents-Elect at PETS or the district assembly for final approval of three quarters (3/4) of those incoming presidents present and voting. The budget shall be broken into two separate parts: one in respect to district operations and one in respect to district service programs. The budget shall stand as the limit of expenditures for these purposes, unless otherwise amended by the Budget and Finance Committee. Estimated incomes and expenses for specific programs will be included in the district budget statement. It is the practice of the district that program expenses are covered by program income unless previously approved by the District Governor. Any excess of income will be allocated to the district’s operations account. All funds collected shall be deposited into account(s) in the name of the district that have been authorized by the Budget and Finance Committee. The Emergency Fund – This part of the District Reserve Funds shall be for unforeseen, unusual, irregular, necessary expenses of the District. It includes the following specific occurrences: (1) Natural disasters that cancel or impact District events which have incurred financial obligations. Non-insurance covered litigation, (3) Public relations emergencies, (4) Disastrous results of a District endeavor, (5) Other unexpected emergency expenses as designated by the Budget and Finance Committee. The emergency fund shall be not less than fifty percent (50%) of the previous year’s operating income from per capita dues interest, and Rotary International subsidy. The Loan Fund – This fund will be used to advance monies to the Operating Account as needed to fund expenses of the DGN and DGE for expenditures that are due prior to his / her year as District Governor and shall be repaid during his or her District Governor year. The General Fund – This fund consists of the remaining District Reserve Funds after setting aside the maximum amount stipulated by the emergency fund and the amount maintained in the loan fund. This fund shall be available for capital expenses, special events, dues reduction or prevention of dues increases as designated by the Budget and Finance Committee, in consultation with the Presidents of the Clubs of the District at PETS, The District Assembly, or, in special circumstances, by mail or electronic mail. No individual, except the District Governor and/or the District Treasurer, shall be responsible for receiving, recording, and depositing District Reserve Funds. No individual, except the District Governor and/or the District Treasurer, shall be permitted to request, authorize, verify, and record expenditures. The expenditure of district funds from the current District Operations Account, held in the district’s name shall be supervised by the District Governor jointly with the District Treasurer or another district finance committee member, when the treasurer when is not available. All bills shall be paid by the treasurer or other authorized officer from that account only when approved by the District Governor or District Treasurer and reported to the Budget and Finance Committee. The fiscal year of the district shall extend from July 1 to June 30. The payment of per capita dues are due July 1 of each year. The payment of these dues shall be made within thirty days on receipt of the invoice on the basis of the membership of the clubs on those dates. A late fee surcharge of 10% will be applied to all dues not received by the District Treasurer within 90 days of the due date specified herein. On the first day of July and on the first day of January in each year, each club shall certify to the district the total number of its active members on such date. This will be executed by transmitting to the District Governor a copy of the semi-annual report transmitted to Rotary International for said period. all funds received by the governor from RI. An annual report documenting the meetings held by the committee and / or written actions taken by the committee must be provided to the District Secretary, as soon as practicable after the close of the Rotary year, but in no case beyond 30 days after the close of the Rotary year. Each committee that has the authority to raise money on behalf of the district activities or spend money on behalf of the district shall submit its committee approved budget to the Budget and Finance Committee for prior authorization by the District to raise or expend such funds. At July 1 of each year the outgoing District Governor and District Treasurer shall account for all funds received and expended to the District Budget and Finance Committee, and allocate such funds as are necessary to pay any remaining debts or obligations incurred during the preceding year. If there is a deficit, it will be noted and the Budget and Finance Committee will meet to determine a course of action. Any rollover and remaining funds shall be considered District Reserve Funds. Each year the District Treasurer shall prepare, or have prepared, the District Income Federal and State Tax filings for the periods of time for which a tax filing (State and/or Federal) is required by the due dates of the returns, including extensions. Such Tax Returns shall be submitted to the Budget and Finance Committee 30 days prior to filing the returns. The Budget and Finance Committee shall review the Tax Returns and approve the filing of the tax returns prior to the filing date. The corporation shall have such other committees as may from time to time be designated by resolution of the board of directors. Such other committees may consist of persons who are not also members of the board of directors. These additional committees shall act in an advisory capacity to the board of directors only and shall be clearly titled as “advisory” committees. Meetings and action of such advisory committees shall be governed by, noticed, held, and taken in accordance with the provisions of these bylaws concerning meetings of the board of directors, with such changes in the context of such bylaw provisions as are necessary to substitute the committee and its members for the board of directors and its members, except that the time for regular meetings of committees may be fixed by resolution of the board of directors or by the committee with the advice and consent of the board of directors. The time for special meetings of advisory committees may also be fixed by the board of directors. The board of directors may also adopt rules and regulations pertaining to the conduct of meetings of such committees to the extent that such rules and regulations are not inconsistent with the provisions of these bylaws as such bylaw provisions as are necessary to substitute the committee and its members for the board of directors and its members. The time for special meetings of committees may also be fixed by the board of directors. The board of directors may also adopt rules and regulations pertaining to the conduct of meetings of committees to the extent that such rules and regulations are not inconsistent with the provisions of these bylaws. By a majority vote of its members then in office, the board of directors may at any time revoke or modify any or all of the authority so delegated, increase or decrease but not below two (2) the number of its members, and fill vacancies therein from the members of the board of directors. Each such committee shall keep regular minutes of its proceedings, cause them to be filed with the corporate records, and report the same to the board of directors from time to time as the board of directors may require. The Advisory Council of Past District Governors shall consist of the District Governor, the District Governor-Elect, the District Governor Nominee, the District Governor-Nominee-designate and all past District Governors who have held office in District 5130 or District 513. Past District Governors shall also include those who have held office in another Rotary District. Widows, widowers, spouses, and significant others of the Advisory Council of Past District Governors are invited to meetings at the discretion of the sitting District Governor. Expenses are generally borne by the individual participants. The District Governor may call an advisory council meeting of all past District Governors at any time he/she feels is appropriate. The chair will be the past District Governor who is five years out of office. The time and location of the meeting shall be left to the governor’s discretion. Traditionally there are two (2) council meetings each year. The purpose of such meetings is to inform past district leadership of district and, Rotary International goals and activities, and progress made toward their accomplishment. The Resolutions Committee of District 5130 shall consist of a chair appointed by the District Governor. When a resolution or district voting situation arises, the chair shall select two (2) past District Governors (with the approval of the District Governor) to serve on the committee. Members of the committee must be active members in good standing of Rotary clubs in District 5130. The Resolutions Committee shall assure that the resolutions of District 5130 are in conformity with the Constitution and Bylaws of Rotary International. At least thirty (30) days prior to the district conference the Resolutions Committee shall distribute to all clubs of District 5130 all proposed resolutions to be voted on at the district conference other than those of congratulatory or commendatory nature. The Resolutions Committee shall conduct balloting at the district conference as may be required. Such balloting will be in accordance with, Article XV, Section15.050 of the Bylaws of Rotary International. To carry out the goals of the district, the District Governor-Elect shall appoint experienced Rotarians as chairs to each of the following standing committees during his/her year as governor. Each chair shall be an active member in good standing of a Rotary club in District 5130. The District Governor-Elect shall be involved in the appointments to subcommittees under each of the standing committees. The length of these appointments shall not exceed the Rotary year. Members of these committees may be reappointed as desired by the incoming District Governor. As needs arise, the District Governor may appoint ad hoc committees to accomplish specific tasks. District committees should work with relevant Rotary International and The Rotary Foundation committees or resource groups, as well as Rotarians appointed by the Rotary International president or trustee chair, to facilitate action at the district or club levels. District committees should regularly report, no less than quarterly, the status of their activities to the governor. All committee members and chairs serve at the pleasure of the current District Governor. As part of the District Leadership Plan, the governor-Elect shall appoint qualified, knowledgeable Rotarians as assistant governors to provide administrative services and support to assigned clubs. Additionally the governor-Elect may appoint senior or lieutenant assistant governors to whom a number of assistant governors report. Assistant governors and senior or lieutenant assistant governors must be active members of Rotary clubs in good standing in District 5130. Assistant governors shall have completed a year as a president of a Rotary club. Senior or lieutenant Assistant governors shall also have completed at least one year as an assistant governor. The qualifications and duties of assistant governors and their roles and responsibilities are detailed in the Rotary Manual of Procedure. The senior or lieutenant assistant governors and assistant governors are appointed for a one (1) year term and may not serve more than three (3) consecutive terms. Service as a Senior assistant governor and assistant governor are at the pleasure of the District Governor. 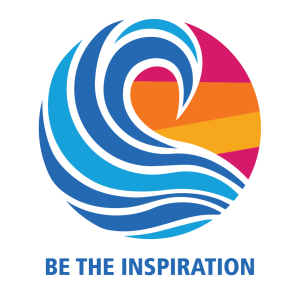 The purpose of the annual district conference is to further the Objects of Rotary through fellowship, inspirational addresses, and the discussion of matters related to the affairs of the clubs and the district. The conference should showcase successful club and district programs and encourage interaction and dialogue as well as to celebrate club and district achievements. In planning the conference, the district conference committee shall follow the requirements and recommendations as listed in the Rotary Manual of Procedure. The District Governor-Elect shall convene a district assembly for the purpose of training incoming club presidents and club members to serve in key leadership roles in their clubs in the upcoming year. As indicated in Article 10, Section 5(c) of the Standard Rotary Club Constitution it is a requirement that a president-Elect attend the district assembly and the Presidents-Elect Training Seminar (PETS) prior to serving as a club president. The specific date, time, location, content, format, topics covered, and costs of the district assembly shall be determined by the governor-Elect and the district assembly committee. All Rotarians, clubs, and the district shall follow the Statement of Conduct for Working with Youth and Rotary International’s guidelines for abuse and harassment prevention established by Rotary International. District 5130 shall have a comprehensive Youth Protection Policy, as recommended by Rotary International. Any Rotarian or volunteer under the auspices of the district who accompanies youth on overnight activities or houses youth either as part of the Rotary Youth Exchange Program or other Rotary youth program within the district must successfully complete the district’s Youth Protection Training Program and provide necessary information for a background check. The governor-Elect shall appoint a Youth Protection Compliance Officer (also known as the District Abuse Prevention Coordinator) who shall oversee the implementation of these policies and programs. These bylaws may be amended at any District 5130 conference by a majority vote of the electors present and voting at the district conference business meeting or majority vote by mail ballot directed to the district clubs by the District Governor. Conference voting shall be consistent with the procedures set forth in Article 15.050 of the Rotary International Bylaws and mail ballot voting shall be in conformity with the proportionate representation of the respective clubs set forth in Article 15.050.1 of those Bylaws and shall follow as near as possible the procedures in section 13.040 of said Rotary International Bylaws. Amendments to these bylaws may be proposed by any club in the district or by the District Governor. Proposed amendments by a club must be submitted in writing to the District Governor at least sixty (60) days prior to the district conference or to a call for a vote by mail. The District Governor shall review the proposed amendments with the Board of Directors prior to forwarding them to the district’s Resolutions Committee. The Resolutions Committee shall promptly review and forward the proposed amendments to all clubs in the district at least thirty (30) days prior to the district conference or the dates established for the vote by mail. Amendments to these bylaws shall be effective July 1, following approval by mail ballot vote or a vote at the district conference unless otherwise specified in the proposed amendment. This is to certify that I am the acting secretary of the above-named corporation; that the above bylaws have been adopted as the bylaws of the corporation and that the foregoing is a full, true and correct copy of the Bylaws of the Corporation with all amendments to the date of this certificate.